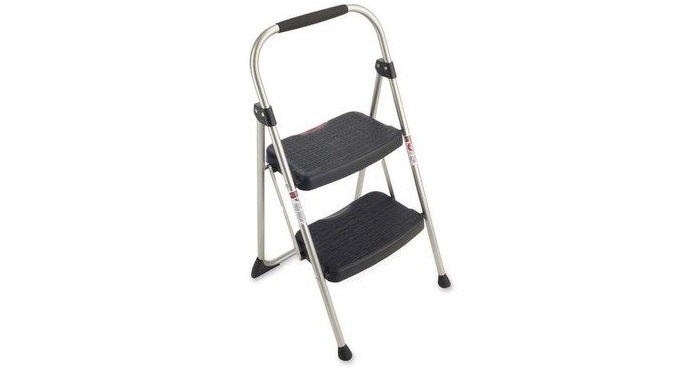 Step stool with two steps offers a Type II, 225 lb. duty rating, lightweight design, secure oversized slip-resistant steps and large non-marring feet. Convenient hand grip helps you balance while climbing. Step stool is easy to use and store.